It is by no chance the Balkans are known to be a powder keg. Only one spark is needed for everything to burst in flames, often completely unnecessary. This reputation was proved true once more this week when regional and other media ignited unnecessary passions by manipulatively rephrasing a statement made by Serbia’s First Deputy Prime Minister and Minister of Foreign Affairs Ivica Dačić. In an interview [Serbian language] for the Serbian Danas several days ago he says that because of the wall Hungary is building along its border with Serbia the inflow of refugees will be redirected to Croatia and Bulgaria. The newspaper titled the article with the interview “Dačić: we will build no wall, nor camps”. Many Serbian media, however, chose to use other titles that spread like Ebola through the entire region, for example “Serbia redirects refugees to Croatia and Bulgaria”. Starting with the Croatian ones and going through the Bulgarian, headlines everywhere were just as inaccurate, which led to an official request of explanations. Yesterday (20 August), the Bulgarian Ministry of Foreign Affairs asked its Serbian counterpart for a clarification. Sofia notes that politicians in the region must be careful in their speech and acknowledge the level of responsibility required by the current crisis situation. In Croatia, Minister of Home Affairs Ranko Ostojić criticised Ivica Dačić but not for what Serbia would do, rather for what it wouldn’t do. In the words of Mr Ostojić, Dačić’s statement is not in the sense that Serbia will be redirecting the refugees. “They could not do this anyway, moreover, based on international treaties, any such person that has been redirected into Croatia will be returned to Serbia, according to the readmission treaty.” He thinks the problem is that Serbia would not take care of the migrants. And while the leading story for the media in Croatia over the last few days is whether the country is ready for the wave of refugees, in Bulgaria the debate continues on what exactly Ivica Dačić meant. The two most-circulated Croatian newspapers, Jutarnji list and Večernji list have totally opposite front pages today. 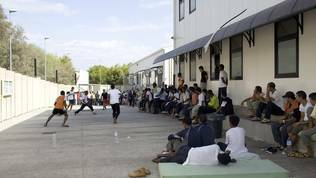 According to Jutarnji, Croatia is completely prepared for the inflow of refugees with the use of old barracks and other properties with yet unknown ownership in different parts of the country. Večernji, however, is of the opinion that the state is totally unprepared. 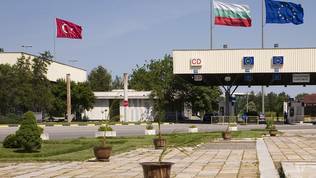 The European border agency FRONTEX has been warning for a long time that the Balkans will become an attractive route for entrance into the richer parts of the EU. One reason is the too dangerous route through the Mediterranean where thousands of people died. Another is the naval operation conducted by the EU there, making the trafficking of refugees and migrants more difficult. A third reason is that the routes through the Western Balkans are easier, cheaper and safer. This is why the redirection of the refugee and migrant flows through countries of the Western Balkans was long expected. At the moment the heaviest hit is Macedonia, where the government declared a state of emergency along its border with Greece. Macedonia has for weeks been subjected to a huge influx of refugees, trying to board trains into Serbia, heading for the EU. Apart from its financial problems Greece is also dealing with a refugee crisis of unseen proportions. The country is literally overflowing with refugees. According to FRONTEX, the illegal crossings into Western Balkans countries have made a sudden jump in numbers. The rise began back in 2012 when 6390 people have illegally entered these countries. Just a year later (2013) though, their number jumped rapidly to 19 950, and during last year they are already 43 360. The agency explains this with the removal of the visa regime for these countries by the EU. 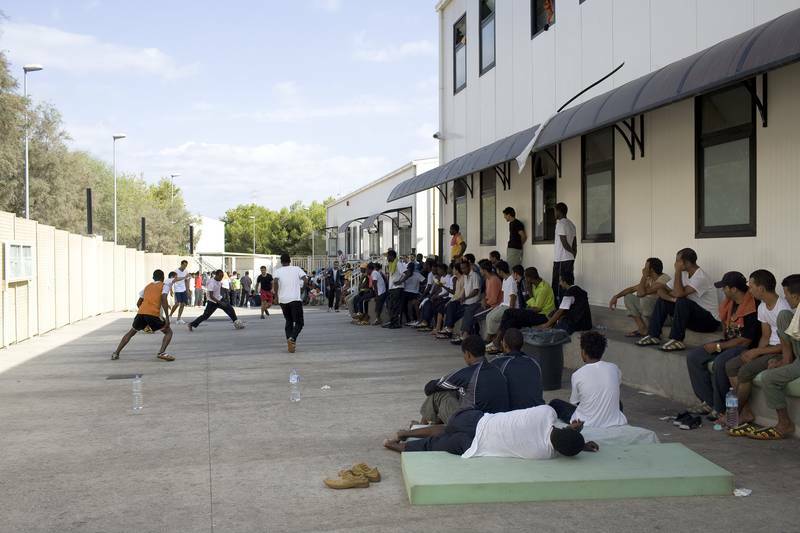 “In just four years, the region transitioned from being largely a source country for irregular migration to mostly a transit area of irregular migrants from Greece”, says the agency’s analysis. In their estimate of the risk this year the agency points out that Serbia’s borders are the busiest in terms of regular passenger flow. The second busiest border is that of Bosnia and Herzegovina. In illegal traffic the busiest border is the one between Serbia and Hungary. The situation in Bulgaria is much calmer. According to Reuters, Bulgaria is not a front line at this time. 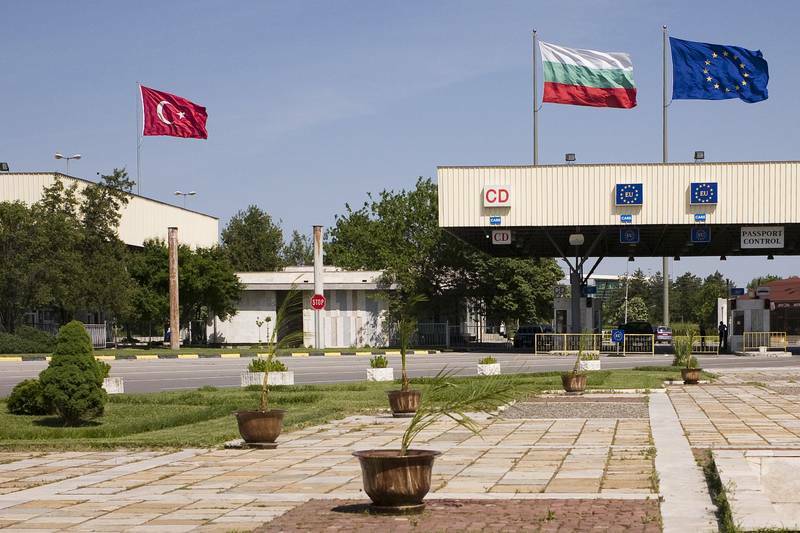 Moreover, according to FRONTEX, the transit of migrants through the Western Balkans is mainly a function of what is happening at Turkey’s borders with Greece and Bulgaria. The land route through Balkan states is seen as being safer and cheaper than sea travel from Turkey or Greece. In this sense the calls for consideration in expression are targeted at the wrong address. It is not the politicians, but rather the media that need to be careful as to exactly how they portray facts. One fact was only identified by Ivica Dačić, namely that because of the Hungarian wall the flow of refugees will redirect to Bulgaria and Croatia. The latter being much more vulnerable as it is the longest external border of the EU, but not part of Schengen. Apart from the one with Serbia, the country has quite a long border with Bosnia and Herzegovina. The government so far assures that Croatia can handle the refugee flow and has enough shelter for the migrants. Minister Ostojić stated yesterday after the government meeting that Croatia has enough capacity to avoid what is happening in “a neighbouring country” (Serbia) – refugees sleeping in the streets and parks. He added that Croatia was actually noting a decrease in the inflow of refugees and asylum-seekers. He admitted, though, that the Hungarian wall was a new factor that could redirect the traffic to Croatia. And yes, Ranko Ostojić used the same word as Ivica Dačić – “redirect”. So the drama is not that Ivica Dačić called a problem by its real name. The issue is that adequate actions and measures are needed. Not just national at that, but rather at community level, candidate countries included. And instead of all the steam being spent into whistle, an increase in regional cooperation in this sphere with major involvement from the EU could be considered. Ivica Dačić and the government he is a member of have a lot to be reproached for in the incitement of poor neighbouring relations, but this is a case of splitting hairs. And it is not even a matter of bad translation. It is a case of wrong interpretation, because we are used to this government being inherently at fault. Alas, in this case Mr Dačić is correct. And while Croatia is busily preparing for such a scenario, Bulgaria is looking for explanations from Belgrade. Moreover, if we are looking to reprimand someone for rash statements it is odd why the Bulgarian ministry of foreign affairs or any other ministry did not react to the statement of the spokesman of Slovakia Interior Ministry, Ivan Netik, who said Muslims would not be accepted in Slovakia because they would not feel at home. This statement is really scandalous, but it was not made in the Balkans, so nothing caught fire.